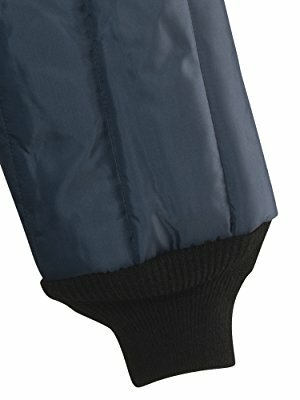 The Econo-Tuff® Frock Liner features a knee length design to provide maximum coverage plus convenient side-seam openings for access to pants pockets. 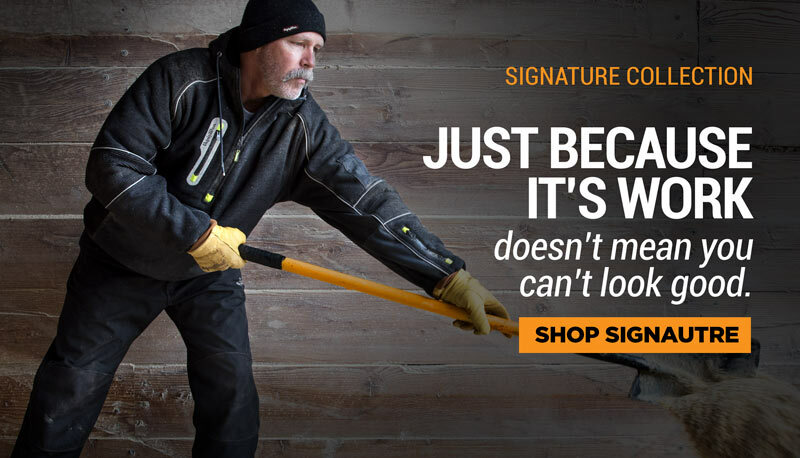 Don' let the lighter weight fool you - it is still warm enough for sub-freezing temperatures and durable enough to tackle the toughest jobs. 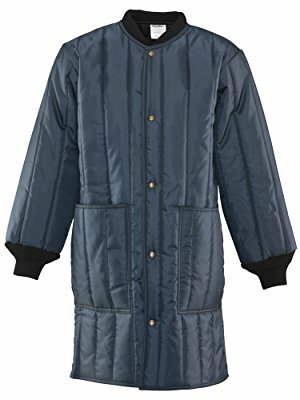 Lightweight, warm, durable and a great value — Econo-Tuff garments provide the best of all worlds. 6 oz. 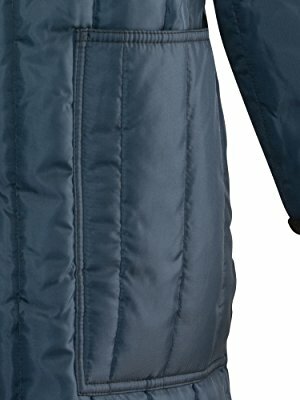 of fiberfill insulation paired with a 200 denier polyester outershell make the Econo-Tuff Frock Liner lightweight, durable, and warm – protecting you down to 15F degrees. 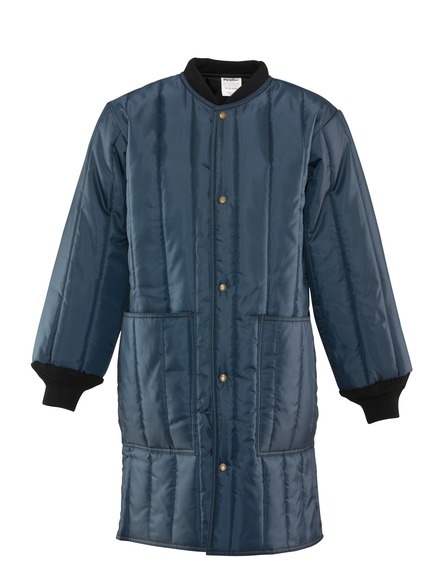 Lightweight material and insulation means you can move while maintaining warmth. 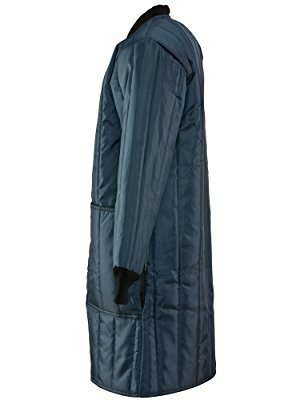 You won’t be bogged down by heavy clothing. The insulted knit collar helps protect you from the cold. A comfortable fit means you aren’t constricted by the collar but your lower neck is still protected from drafts. 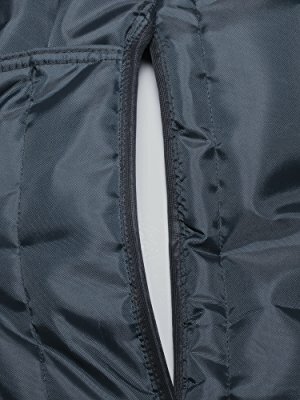 The side seam openings on the lower portion of the jacket make pant pocket access easy. 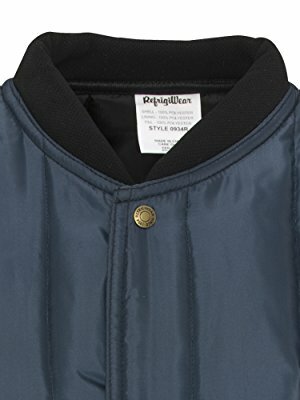 With a snap-front closure the jacket is easy to remove. The slim, lightweight design means it easily fits under frocks or lab coats so you don’t have extra bulk when trying to get the job done.